Updated Raised ranch on level fenced lot. New flooring, paint, upgraded bath & kitchen, newer roof, vinyl windows, boiler. Spencer Van Etten Elementary School Pre-School, Elementary School / Public 3 3.59 mi. Spencer Van Etten Middle School Middle School / Public 6 1.44 mi. Spencer Van Etten High School High School / Public 7 2.29 mi. No Spencer Christian Academy * Pre-School, Elementary School, Middle School, High School / Private N/A 1.57 mi. Candor Elementary School * Elementary School / Public 4 8.43 mi. Candor Junior Senior High School * Middle School, High School / Public 4 8.45 mi. 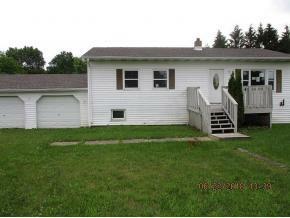 10 Patricia Lane, Spencer, NY 14883 is a 3 bedroom, 1 bath single family home was sold for $55,000.